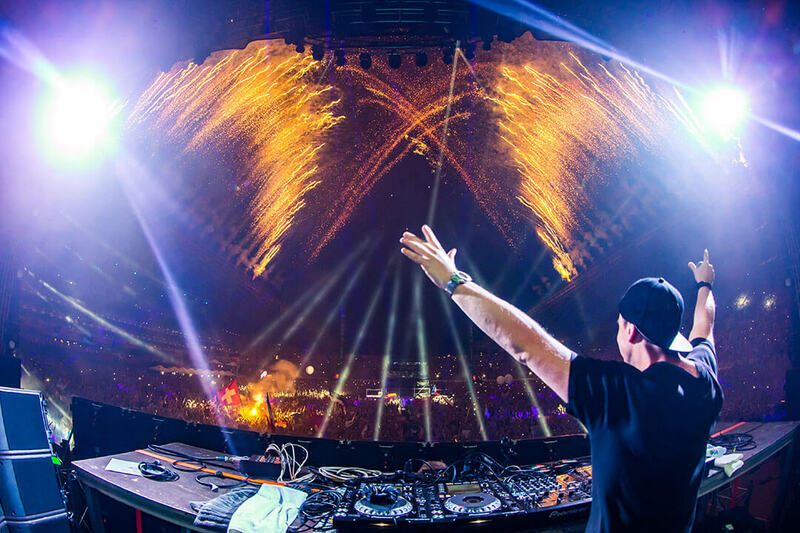 Following its record-breaking edition in 2014, ULTRA Europe – Croatia’s largest ever electronic music event – upped the ante once again in 2015 as it expanded into a historic seven-day extravaganza known as Destination ULTRA. Kicking off in true ULTRA style, German legend Sven Väth brought the house down at the newly renovated Giraffe Palm Beach Club in Split with a blissful four-hour vinyl only set. Dancing Astronaut lauded the event, describing it as “the perfect start”, as Väth only wetted the appetite for what was to come over the next six incredible nights. The three-day flagship ULTRA Europe Festival was officially under way the next day and with it came a mesmerizing brand new Main Stage. With colossal LED screens and a state-of-the-art sound system creating an all-encompassing experience for the Ultranauts in attendance, the Main Stage hosted heavyweights such as Afrojack, Alesso, Armin van Buuren, Axwell^Ingrosso, Dash Berlin, David Guetta, Hardwell, Knife Party, Martin Garrix, Nicky Romero, Steve Angello, Tiësto, Zedd and many more across the festival to a truly rapturous response. Most notably, The Chemical Brothers brought their famed LIVE show to Croatia for the very first time, adding a different flavor to the Main Stage as they played out some of their biggest hits including ‘Go’, ‘Block Rockin’ Beats’ and ‘Hey Boy Hey Girl’ to an adoring crowd. This year also saw the addition of a fourth arena in the form of the RESISTANCE Stage, powered by the award winning Arcadia Spectacular group. First seen at this year’s ULTRA Music Festival, the ‘Afterburner’ saw the likes of Guy Gerber, Hot Since 82, Jamie Jones, Marco Carola, Nic Fanciulli, Sasha and Solomun take fans on a journey across a spectrum of house and techno music. The legendary Megastructure switched up genres on a daily basis with drum and bass, techno and trance all being represented across one of ULTRA’s most celebrated stages. The likes of Andy C, Noisia and Wilkinson hosted on the Friday, before ULTRA’s iconic Carl Cox & Friends stage brought a monster three-hour set from Carl to the party alongside support from his ever-growing stable of friends such as Nicole Moudaber, Yousef and Anna on the Saturday. The Megastructure then closed on Sunday this year in the same fashion it does in Miami each year, with an immense lineup of the finest trance DJs around. Andrew Rayel, Markus Schulz, ATB, Paul Van Dyk and many more cranked up the atmosphere to euphoric levels until the early hours of Monday morning. Last but by no means least, the UMF Radio Stage – now in its second year of existence at ULTRA Europe – brought its customarily eclectic mixture of music, with up-and comers from all corners of the globe bringing showcasing their talents to thousands each day. 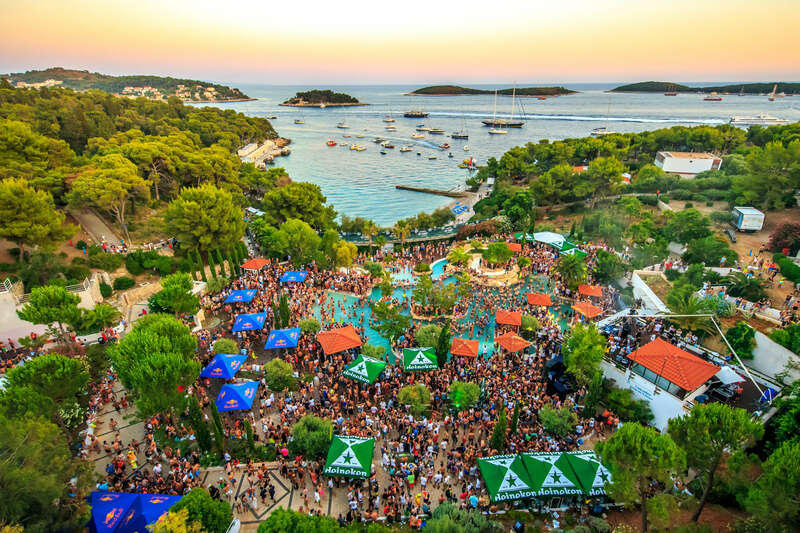 With the ULTRA Europe Festival drawing to a close on Monday morning, fans didn’t have to wait long for another party to start, as South African duo, Goldfish, followed things up on the very same day with a disco and saxophone-fueled show at the exclusive ULTRA Yacht Regatta Party on the heavenly island of Brač. Next up: ULTRA Beach. For the third consecutive year, the SOLD OUT pool party took place on the idyllic island of Hvar where over 5,000 revelers partied at the dazzling Hotel Amfora Grand Beach Resort to the beats of German icon Moguai, progressive house power duo Sunnery James & Ryan Marciano, future house extraordinaire Oliver Heldens and Dutch superstar Fedde Le Grand, as they teamed up to make it the biggest Ultra pool party to date. As the week drew to a close, ULTRA arguably saved their finest destination until last, as Joris Voorn and Nic Fanciulli ran a Resistance themed Closing Party from within the historic 200 year old Fort George—a truly awe-inspiring venue on the island of Vis that needs to be seen to be believed. With the third historic chapter of ULTRA Europe wrapped up, all roads now lead to an even bigger 2016. For further information and updates on ULTRA Europe, head to ultraeurope.com.